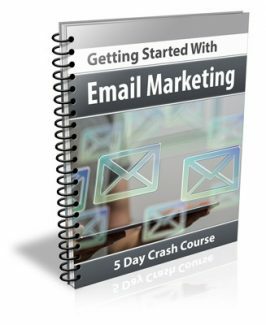 If you can answer yes to the following questions you'll want to get your hands on the Getting Started with Email Marketing Crash Course Package! The "Getting Started with Email Marketing" course was specifically designed to show even absolute beginners how email marketing can be used to attract more customers and increase sales for any business. Getting Started with Email Marketing Package? The "Getting Started with Email Marketing" package contains everything you need to start using it right away!